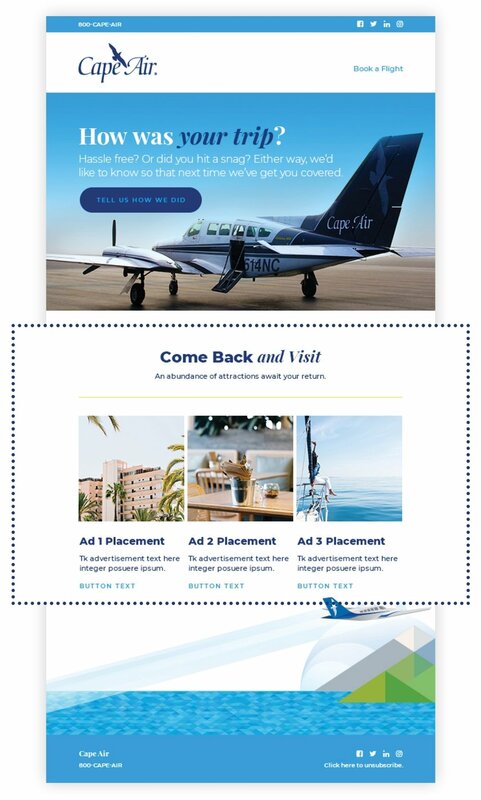 Be one of the three exclusive advertisers that targets travelers to your destination before and after every flight. Please submit your business name and one line of text (7 to 15 words) for the ad content. Simply supply your text, high-resolution photos (300 dpi), and contact information, and Hawthorn Creative will create a powerful advertisement for your company at no cost. This includes two rounds of revisions and up to three proofs. Additional revisions will be billed at $25 per proof. All ads created by Hawthorn for email campaigns are owned by Hawthorn Creative.